Students are able to use the enormous resources of the University. They have free access to the library, as well as full use of all the facilities provided by the University. The University departments have modern classrooms and laboratories and have all the opportunities for training of students. The Education and Research Centre of the University is equipped with phantom models used for training purposes. The Scientific library plays an important role in academic activities and students training, it takes an integral place in information support system of educational and academic work carried out in the University. The library fund comprises more than 1 million items. 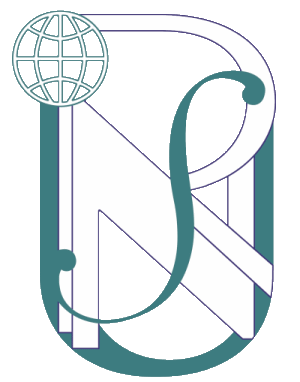 The library services are computer-based. Electronic site of the library provides access to an electronic catalogue and other services. 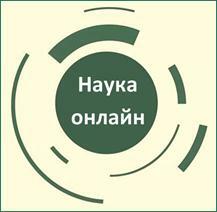 Repository, which is a part of a general electronic collection of the library, became an important step towards the system of information exchange with the world scientific community. At the University, there are several functioning museums: The Museum of the University History, the Museum of Human Anatomy, and the Morphological Museum. The museums comprise valuable collections, many of which are as old as two hundred years, and contribute to the students’ profound knowledge. Accommodation is provided by student hostels. Ukrainian and international students stay in these hostels, in rooms for 2-3 people. This accommodation is available throughout the whole year and for the entire period of training. Rooms are equipped with the necessary furniture and bedding. There are toilets and showers with hot and cold water supply systems, as well as kitchens. Furthermore, every student hostel provides a cafe, a gym, classrooms for studying, laundries, medical posts, and internet centres. The hostel fees depend upon the size and comfort of the dwelling space. Besides that, students can rent apartments as well. A broad variety of food products from all over the world can be found in food stores and supermarkets that gives foreign citizens the excellent opportunity to stick to the same diet they are used to from their home country. Students may also go to one of the cheap student cafes, or prepare their own meals in a hostel kitchen. At the University, students can have meals at cafeterias and refreshment bars. The University Scientific-Practical Medical Centre provides medical care of students. Students regularly undergo prophylactic medical and fluorography examinations. 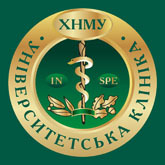 “Valetudo est bonum optimum” – is the motto on the emblem of Kharkiv National Medical University. To save and improve one’s health one must live a healthy lifestyle, a key element of which is physical training. The students are provided with all conditions necessary for going in for sports. There are 3 gymnasia (for games, gymnastics and heavy athletics) at the University. The University’s Department of Physical Rehabilitation, Sports Medicine with a Course of Physical Education and Health meets the tasks of students’ health promotion, their all-round physique, motivates students to systematically practise physical exercises. - arm-wrestling (men), arm-wrestling (women), athletic tourism, badminton, basketball, checks, chess, cross-country skiing, fencing, fitness, football, handball (men), handball (women), heavy athletics, kettlebell lifting (men), kettlebell lifting (women), orienteering, powerlifting, rhythmic gymnastics, rhythmic-sportive gymnastics, table tennis, tennis, track and field athletics, volley-ball (men), volley-ball (women). There is also a health and fitness centre, sports complex and sports and recreation camp “Medik”. In addition to studies our students are provided with the widest range of possibilities to actively join the academic community of the University, where they can reveal their talents and creative potential. Students are invited to join any of numerous student organizations, research associations, artistic collectives, and sports teams that function in the University. The University prides itself on its very friendly atmosphere. We also pride ourselves on the positive relationship between different health professions, between students and staff, and between different ethnic, cultural, and religious groups. Students coming from overseas are welcome to enter the University community. Here they find themselves to be part of a diverse student body.